METAPHRASI > Blog > entrepreneurship > Is freelancing like team sports or is it a solo game? Working as a freelancer might feel like the world’s loneliest job but it doesn’t have to be, and even shouldn’t be especially if you want to be a successful business owner. 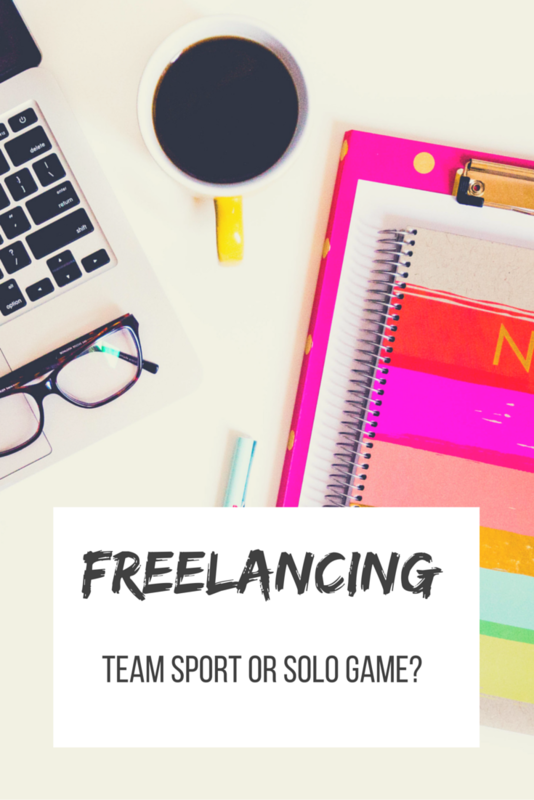 As freelancing in any field requires more than one skills (your service of choice, bookkeeping, marketing and many more), it is more something like team sports: to survive in the freelance world you need to have reliable co-players. As a translator, in particular, it is very important to build strong relationships with other freelancers of the same and different fields. So if you already are working on your own or you feel you are ready to go freelance and you have thought of the the pros and cons of working as a freelancer, add creating business relationships to your business goals. It takes time off your hands – a graphics designer will do in 30 minutes what you will probably spend 3 hours doing on Canva or Picmonkey. That way you can devote yourself to producing your best work in your field of expertise: translation in this example. eg. the photo I used for this post was from Alisson’s fab free stock photos saving tons of time from a) searching for a usable image and b) styling my desk for a photo. It helps you be able to offer your clients a complete service pack – wouldn’t it be great to be able to offer translation and proofreading and design and not have your clients look elsewhere? To build trust – you offer them work and at some point they will refer their independent clients to you for their translation projects. They have your back – it’s not always easy to be a solopreneur and one person can’t possibly be good at everything from logistics to business planning to web design. Your accountant will help you correct your bookkeeping, your proofreader will save you from evil typos and so on. You can take on more work – when you feel like the day is not enough but don’t want to say no to clients, it is always good to have a reliable co-worker who you know can deliver and you trust their work to be of the highest quality. That way you can focus on the actual work and provide stellar results! They bring valuable input – two minds (or three or four) work better than one when it comes to problem solving and it is really helpful to have someone you can discuss business issues with. I know that all things said, for a small business owner/freelancer it is not easy to delegate, to be an extrovert in business relations or justify the costs but sometimes it is necessary to take a step back and think about all the things your business has to gain from working with others. Having a strong network doesn’t mean you lose control of your business – on the contrary it helps you work more on your area of expertise and leaves you time to think about business goals, too. What do you think? 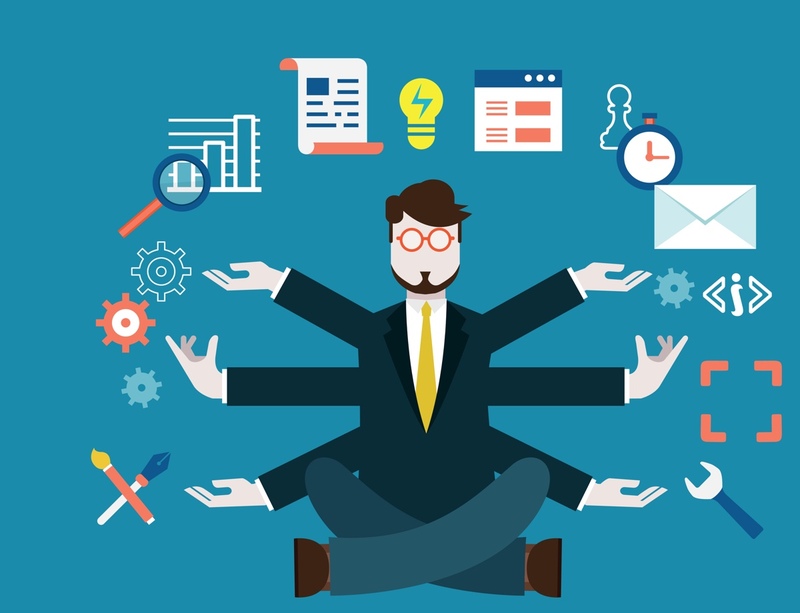 Would you rather take on everything alone or are you willing to outsource various tasks in order to gain on other fronts? thanks Michael! Do you agree? Or are you more of a one-person player? I agree, it’s counter-productive running a one-man(woman)-show but the key is being able to choose the right partners. If you are forced (like me) to work with people you have no control over the old adage is often true “If you want something done right, do it yourself”! Υes that’s probably true! In the public sector or a company I assume it is more difficult! Interesting! Sounds like your world is fascinating. With everything you do in life! But if you love it.. then it is a challenge! Oh yes! Challenge being the right word 🙂 But a nice one! Thanks for sharing. Your post is a useful cotibirutnon. That’s awesome! it’s very important to know your strengths and be able to work with a colleague to get the most out of them!! wishing you all the best with your VA job and let us know if you have any tips on how to define strengths and use them!